Young and old. Men and women. 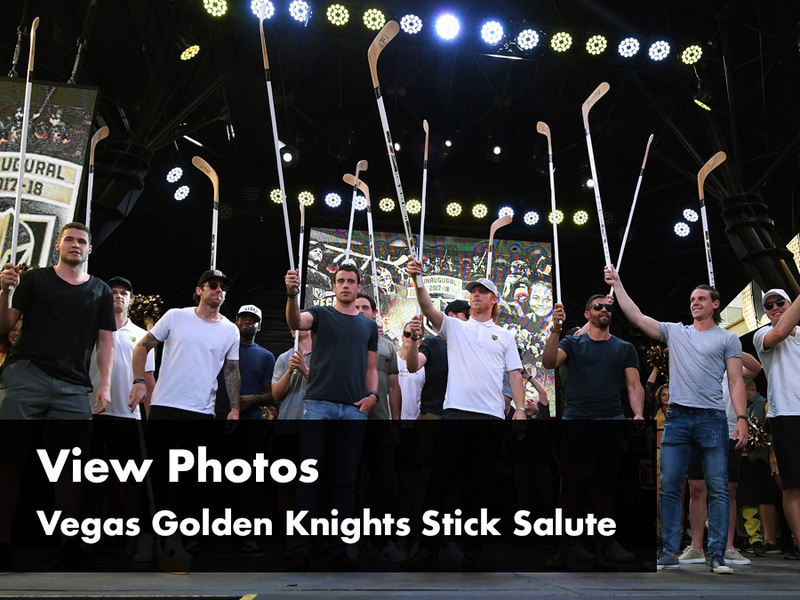 The Vegas Golden Knights made hockey fans out of all of us. On Wednesday evening the team gave back to the fans with an appreciation event in downtown Las Vegas. After an unexpected season, it was an unexpected show of appreciation for the fans that have been there every step of the way even before the first puck drop. Eileen Riegert is one of those types of fans. "We've been with the Knights since the start," said Riegert. "We went to the name reveal. What was it two years ago? We had to be down here for this." And fans like Blake Smith. His undiagnosed condition has stumped doctors, but like so many fans he's drawn strength from a team that won over its critics while uplifting an entire city in the wake of tragedy. Smith attended the Stick Salute along with his father Chad Smith. "We needed this. We didn't have the opportunity to get out and see all the games," Chad Smith said. "So any opportunity to get out and see and support them is awesome to experience as family and as a fan." Several members of the team took the stage to personally thank fans during the event, which was held outside The D Hotel at the Fremont Street Experience. The crowd was clearly basking in the success of the season and completely reassured that this icy love affair goes both ways. "This was amazing! I just want to thank the Golden Knights organization," Reigert said. "They have given Vegas so much."